Who knew that our favorite cartoons could come to life in the form of a theme part? From Powerpuff Girls to Dexter’s Laboratory, there’s a familiar character in every corner. 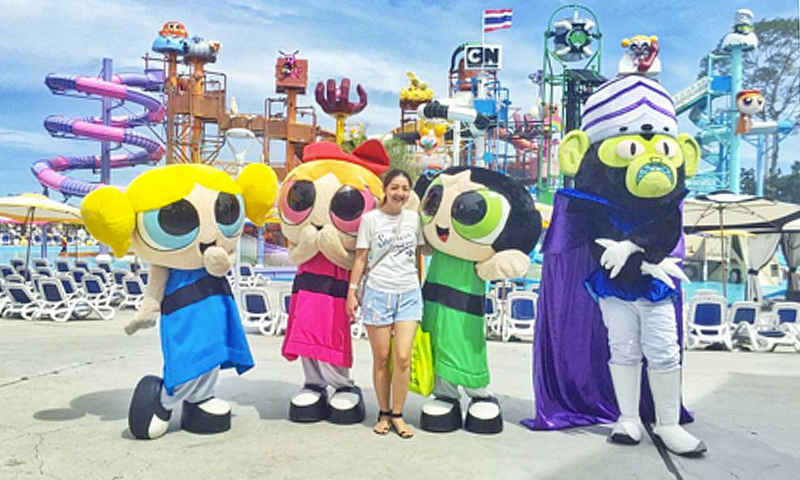 Cartoon Network Amazone Waterpark is located in Pattaya, Thailand and is a haven for any Cartoon Network fan. The waterpark is complete with 10 themed areas that includes slides for the kids and adults, a wave pool and even spas. Some of their most popular areas include the surf arena, humungaslide and the rapids. There are also Cartoon Network characters that roam around the park including Dexter and sister Phoebe, Mojojojo and of course, the Powerpuff Girls. There are also slides dedicated to Adventure Time characters such as the Jake Jump. If you get a bit hungry you can head down to Foodville and the Tiki Bar for some refreshments. Just make sure you allot the whole day for a bit of water adventure and a whole lot of nostalgia.